Ne me quitte pas | One quality, the finest. Jacques Brel was born in Belgium on April 8, 1929. My introduction to French music was his passion-filled “Amsterdam.” I listened to it over and over, totally captivated. My love affair expanded to include “Ne me quitte pas” and “La chanson des vieux amants” among others. I’m not his only fan. 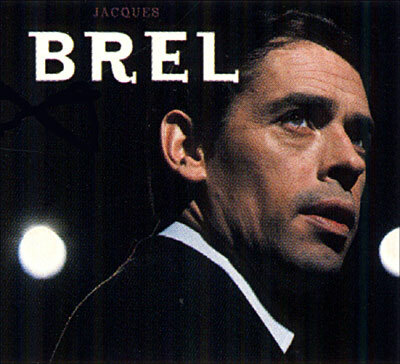 Brel sold 25 million records world-wide. The poetry is fantastic. Consider this line from “Ne me quitte pas,” which has been recorded 400 times by other artists: “Me, I’ll offer you / Pearls of rain / That come from countries / Where rain never falls.” Wow, that’s good stuff. Brel lived and loved hard and died of lung cancer at only 49 years old. Ne me quitte pas (nuh muh keet pah) means “don’t leave me.” I wish Jacques Brel hadn’t left us so young. Imagine the songs he didn’t have time to write and record. 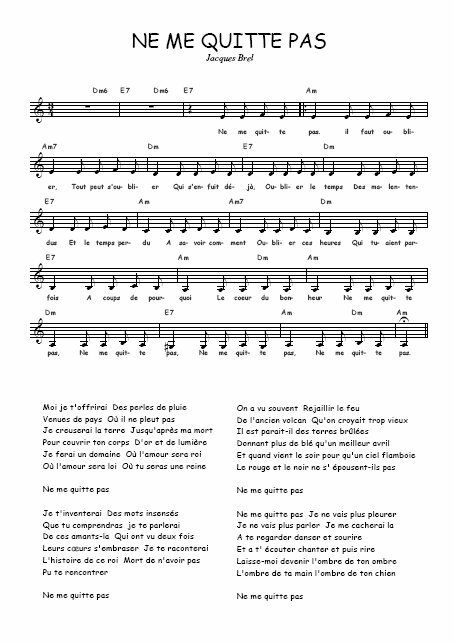 This entry was posted in Music, People and tagged Amsterdam, French idiom, Jacques Brel, La chanson de vieux amants, Ne me quitte pas. Bookmark the permalink. Pingback: Allez au charbon! | One quality, the finest. Pingback: J’aime mieux vivre en enfer que mourir en paradis | One quality, the finest. Pingback: Racine Carrée | One quality, the finest. I love his song “Marieke” especially.